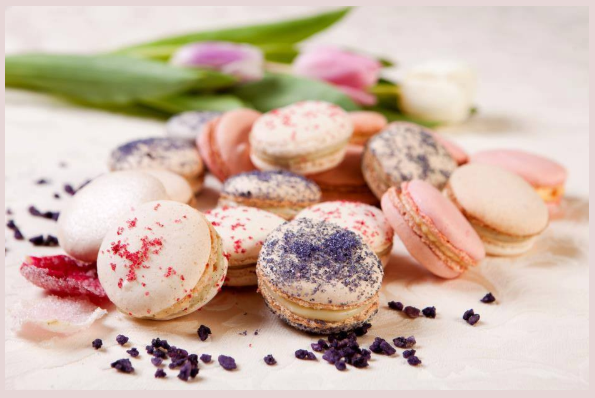 Small sweet treats, original, substantial, tasty, ideal for celebrations and other events! Cremeux 70% cocoa coated with miroir cocoa, base of crisp chocolate cookie. Two creams: lemon cremeux and lemon mousse with sucree base. Ingredients like larger tarts. Butter cookie with a thin coating of cremeux praline and fluffy chocolate cookies mousse coated with white chocolate. Two praline creams: praline cremeux, praline mousse and sucree base. Dipped into milk chocolate. Small chocolate bites slightly baked in order to maintain the fluid chocolate cream inside. Bitter chocolate truffles flavored with fresh orange and almond powder, enclosed in real chocolate truffle. Small French pastries with fluffy almond meringue.